appreciate the beauty of stone. in all granite types. Pitting will not become worse with regular use or with the passage of time. not grow or expand over time. "watermarks." 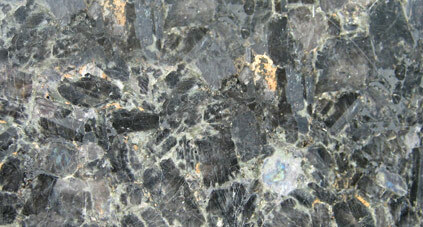 Often these spots are visible on the darker crystals present in some granites. 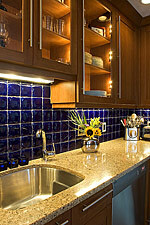 important part in the overall appearance of a finished granite countertop surface. natural characteristics of stone and will not impair the function or durability of the material. Can I cut on Granite? Yes you can cut on granite but it will dull your knives. difficult to scratch, but it is not a diamond. the care and cleaning of granite. match the seams and layout to provide the best possible finished product. seams, maximize use of material, and create a well balanced "Piece of Art". not flex. When new homes settle, their is a slight possibility that the epoxy may crack. Should this happen the seams can be easily repaired. good commercial cleaner / polish made specifically for granite is a good practice. made and how to care for it.